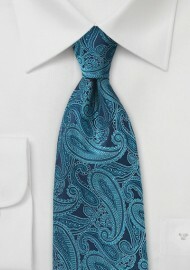 Add some fun to your everyday business getups with this large scale and bold colored paisley tie by Chevalier. The designer arranged a perfect color play using different shades of teal and turquoise on the paisley print, set against a rich navy blue background. 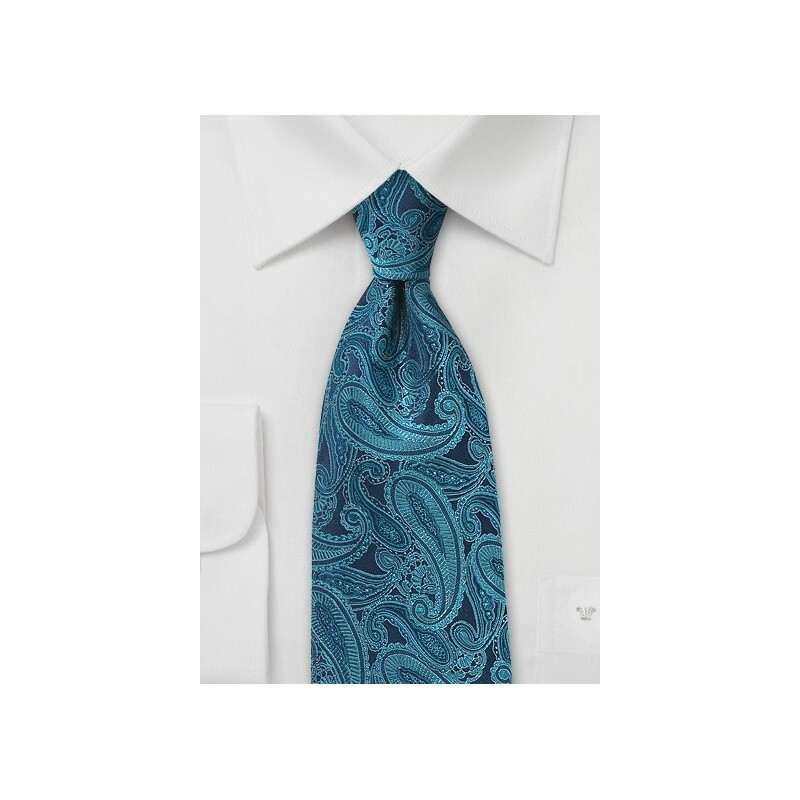 A perfect tie for any jacket in beige, cream, navy, and gray. Made by hand from woven silk. 100% Woven Silk | Length: 58", Width: 3.25"